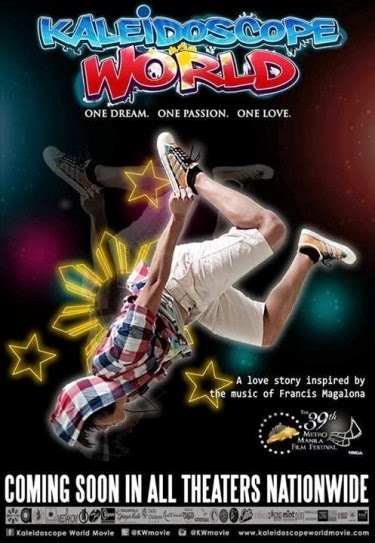 Kaleidoscope World is a Filipino musical-romance film and an official entry for Metro Manila Film Festival 2013 (MMFF) directed by Eliza Cornejo under the production of Melcor Enterprises. 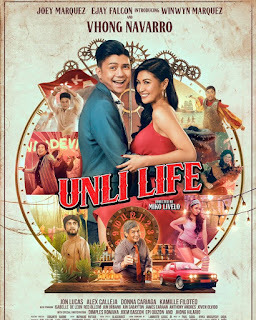 Starring Sef Cadayona, Yassi Pressman, Elmo Magalona, Viva Montelaba, Steven Silva and Enzo Pineda. This is a unique and inspiring film conceptualized and inspired by the music of the OPM King of Rap Francis Magalona. This is a love story and appreciation of life. This is a dance musical film that pays tribute for his contribution to the music industry and to the lives of other people. This is another remarkable thing that we must be proud of. Showing on December 25, 2013. Get your tickets now, sing and dance along with love and joy! See you all there.